Kingston is the industry leader in PC memory. 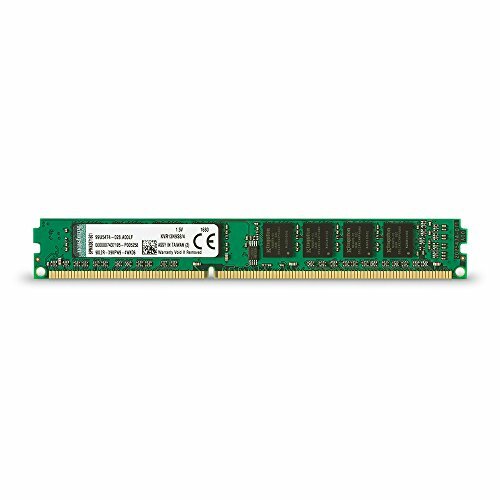 Designed with the white box user and system integrator in mind, Kingston Value RAM products are engineered to meet industry standard specifications and rigorously tested to ensure quality. Kingston Value RAM is ideal for those who purchase memory by spec and are looking for competitively priced generic memory that is 100-percent tested to meet industry specifications. Included in the package is 1 4GB module of 1333MHz DDR3 memory. Specs are standard 512M x 64 Non-ECC 1333MHz 240-Pin Unbuffered DIMM (DDR3, 1.5V, CL9, FBGA, Gold).